Jay Jay, Connor, Ian, Jake and I were around this week, and in addition this was Lily’s last week of setting regularly before her grand road trip starts, Joel was able to come in as well, and on Wednesday we had a special guest, the head setter of Climb So Ill, John Oungst! John turning a wrench for us at The Spot. The group of us managed 60 new boulders on the River. Lily set with the Main Dish for the first time (hint: it’s big, blue, and on the far right river) and put up what I believe is her first 5 spot (blue tape, on the left river). Jake set a sweet mantle off the Main Dish after Lily had it on the wall (neon green), then had to replace the t-nut when retightening the hold. Joel put up another classic 5- (red, left river). I used the famous bear claw on a doable 4+ spot (blue, left river). Jay Jay set an awesome 4 spot (neon green, left river) and a few awesome 2 and 3 spots. John got a new personal record for longest bolt he’d ever had to use to put a foothold on the wall. Connor may have set the hardest dyno yet. Ian foreran in beastmode and brought everybody peaches. All in all, it was a nice week of setting. Next week we will be resetting the Back Hueco on Tuesday only. This is normal for a pre-comp week set, and as we set most of the Hueco last week the section that needs to be filled isn’t too big. We’re taking Wednesday off. 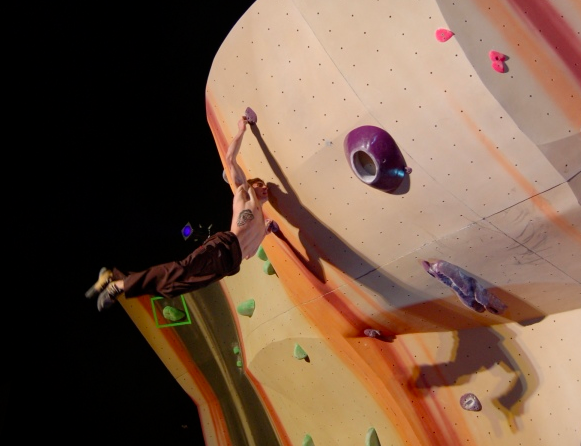 The week after that is comp setting week for the first comp of SBS 9 – Dyno Mite. This means we won’t be setting Tues/Wed and instead will be setting Thurs/Fri for the comp. The Spot is still open Thursday (September 19th) except for the Beach and the Dojo. 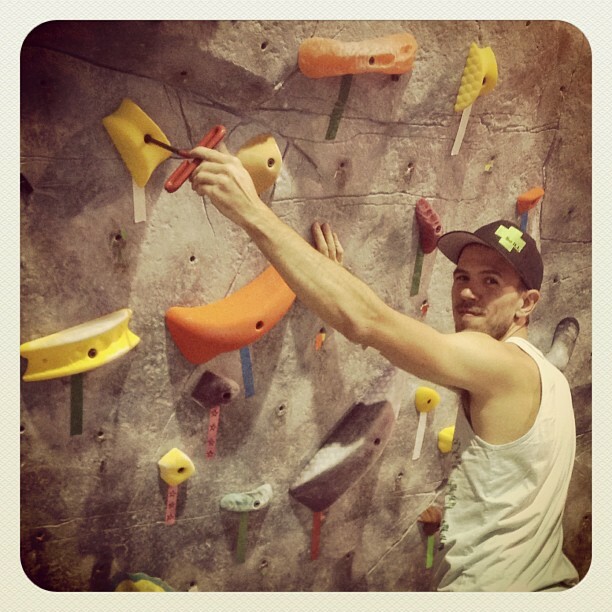 The gym will be closed Friday (September 20th) for comp setting, and Spot members can most likely climb at the BRC. Speaking of SBS 9…we will have volunteer opportunities available with the setting department during each comp set. Duties will include helping us strip the holds and tape off the walls, sorting and cleaning up all the holds/bolts/tape, and washing holds. Volunteers will earn hours they can redeem for membership months at The Spot. Friday September 20th – all day for washing shifts. Washing shifts are generally 2 hours. If you are interested and want to know more, please email routesetting@thespotgym.com. First come-first served for the M4M schedule. You can accrue hours to use toward future months as well.